The group of more than 30 scientists, programmers and regulators came together in late 2015, triggered by a poster authored by our team members Andrijana Radivojevic and Henning Schmidt. 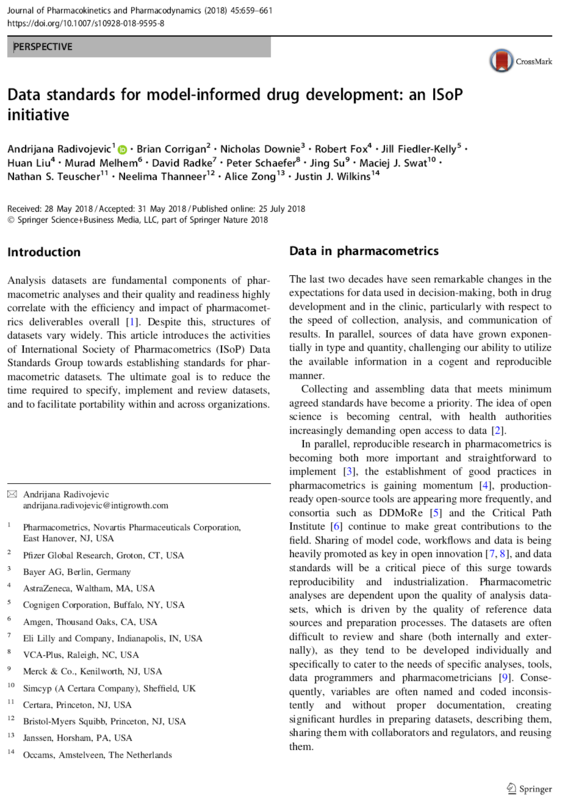 Since then the ISoP effort has been led by Andrijana Radivojevic, working towards establishing standards for pharmacometric datasets. The ultimate goal for the group is to reduce the time required to specify, implement and review datasets, and to facilitate portability within and across organizations.